Ain’t no mountain high enough to keep 2 Guns director Baltasar Kormákur from assembling a star-studded cast for survival thriller Everest. 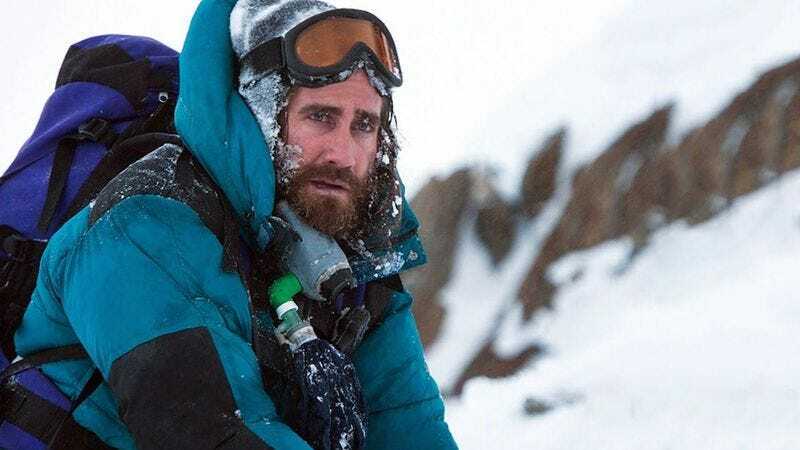 Based on real-life events, the film follows two expeditions to summit Mount Everest that go from dangerous to downright deadly when a highly volatile snowstorm blows through the Himalayas. Embarking on the perilous journey are Jake Gyllenhaal, Jason Clarke, Josh Brolin, and John Hawkes with Keira Knightley, Robin Wright, and Emily Watson providing emotional support. Everest opens nationwide on September 18, but The A.V. Club and Universal Pictures have an opportunity for you to see it in Imax for free on September 15. For your chance to win a pair of passes to the advance screening, simply follow the link here and enter your information. As always, seats will be first come, first served, so be sure to arrive early. An official plot synopsis and trailer for the film can be found below.